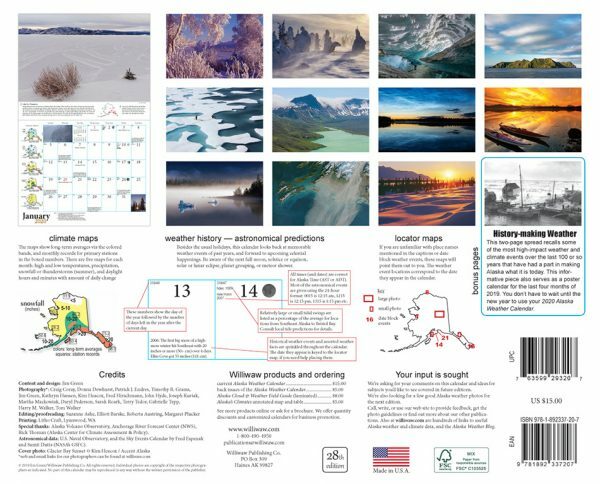 The one calendar that not only displays some of Alaska’s most amazing weather photos, but also digs deep into the hows and whys with tons of interesting and useful information. 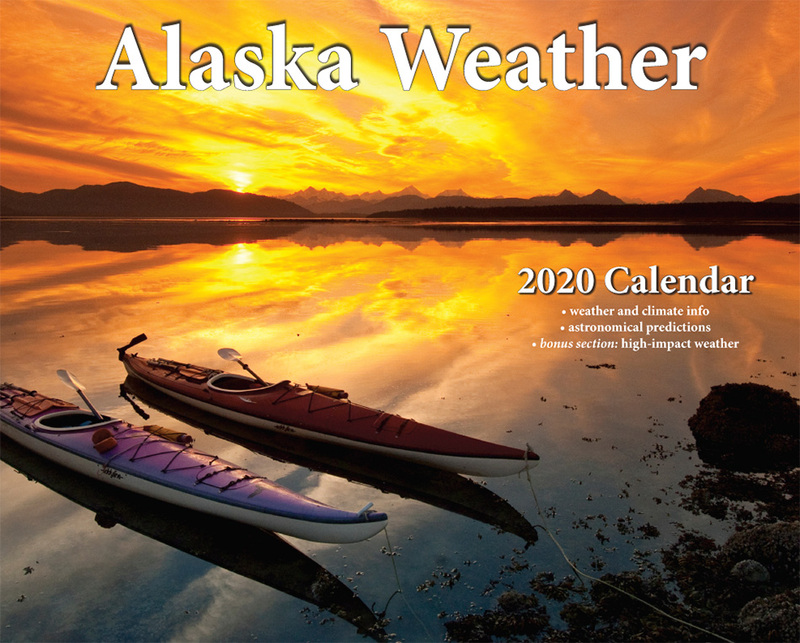 Our 28th Edition! Now Shipping! 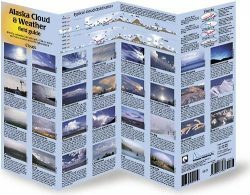 This full-sized wall calendar features some of the best weather photography ever published and tons of useful and fascinating weather and climate data and explanations. 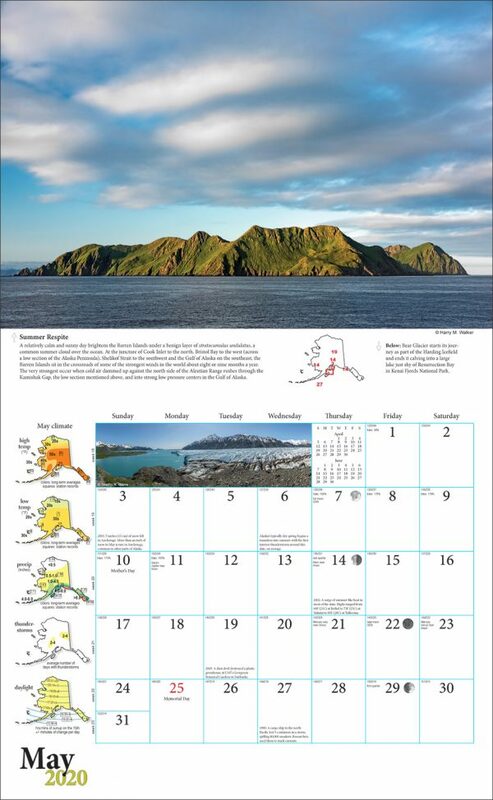 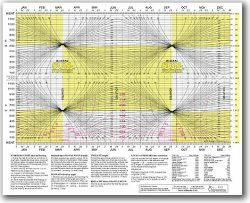 It shows many astronomical events for the year, historical weather events and includes a center spread on historic weather and climate events. 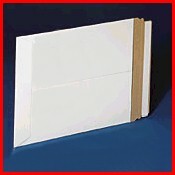 10.5 x 13 inches (27 x 33 cm) when closed, 21 x 13 inches (54 x 33 cm) when open.